Every period of the year is perfect for discovering Sardinia, but September is the ideal time to spend your holidays here, by the sea, on the beach or finding out more about the nature and culture in Sardinia. Here are ten good reasons for coming to Sardinia in September. 1) Who said it is only hot in Sardinia in July and August? In September in Sardinia the days are still long, hot and sunny, perfect for enjoying refreshing swims and moments of relaxation on the numerous beaches scattered all around the island. 2) The prices. Why spend more if in September you can enjoy the same fabulous scenery, sublime food, a warm welcome, sport, culture and traditions? The hotels and resorts by the sea offer better prices and they are nowhere near as crowded as in August. 3) Diving into the crystal clear Sardinian sea? The really lucky people are those who go swimming in September because the water is warmer and clearer than at the start of the summer. Even those who normally feel the cold will be convinced! 4) Stop worrying about finding an empty beach to spend your days on. A holiday in Sardinia in September means even more space available to enjoy the sea in complete freedom, with semi-deserted beaches and plenty of free car parking as well! 5) The evenings at the end of the summer are the setting for numerous cultural events which liven up almost every town and village in Sardinia. Film festivals, musical and sports events – there’s an embarrassment of choice. 6) It’s well known that booking a ferry or flight to Sardinia well in advance is a good way to save money on your holiday, but travelling in September is also convenient in terms of last minute offers! Sardinia is here, just an hour’s flight away! 7) September is the month when the island’s historical and peasant culture comes to the fore with patron saint’s feast days, village festivals and the not-to-be-missed grape harvesting; the perfect opportunity to discover the small wine producers and taste some excellent wine, maybe together with some delicious porcetto al mirto (suckling piglet with myrtle) and a seada al miele (honey and ricotta pastry) dessert to finish with! 8) For Nature enthusiasts, September is the ideal month for discovering the other side of Sardinia: impressive archaeological remains, paths and tracks for trekking, mountain biking or rock-climbing, all amidst scenery that will take your breath away. 9) For those who prefer the sea to staying on dry land, September is the best time to take part in one of the many International regattas which play host to some of the largest yachts in the world and where impressive sailing boats cut through the crystalline waters of the North of Sardinia. This is the perfect moment to breathe in the glamorous atmosphere that surrounds these prestigious occasions. 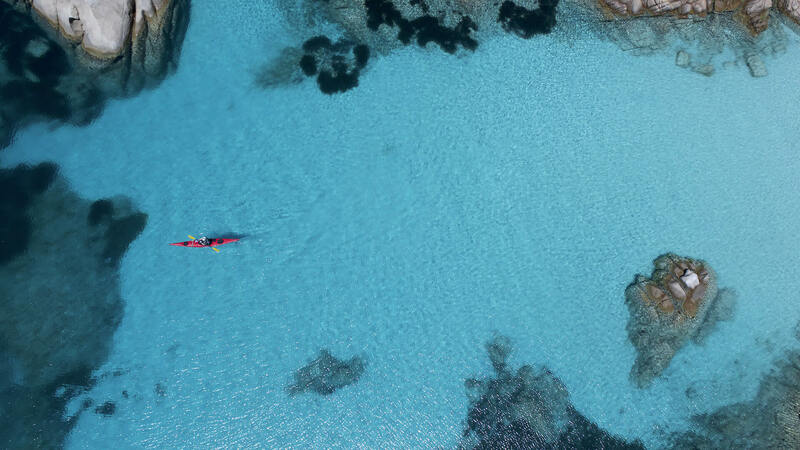 10) Sardinia is an easy place to lose your heart, the so-called “mal di Sardegna”, and so after your summer holiday, it’s more than likely that you’ll come back again in September!